Consulting – Elite Performance Counseling, Inc.
We are a PPO provider for Blue Cross Blue Shield and Aetna. Check with your insurance provider. Out of network can often be very reasonable. Consulting with athletes, musicians, artists, and dancers, focusing on performance enhancement; I work with organizations such as sporting clubs, music programs, dance studios and other groups to enhance performance training. Consulting for corporate executives and business leaders to reach peak performance in relation to their personal and professional lives. I work with parents of athletes to help them better understand the challenges that their student-athlete might encounter and how they can help mitigate those issues. Including school avoidance, anxiety, depression, social media, relationships, etc. Elevating to achieve “Elite” Performance for ALL individuals. Whether your child is an athlete, artist, dancer or gymnast, highly intellectual or a regular kid focused on doing the best he/she can. Dr. Boggs- Choquette did a great job of balancing presentation with interaction and audience participation through stories, questions to contemplate, and discussion. She was able to keep conversations relevant to the topic, guide them to the next category, give advice, tips to handle situations and things to look for or keep an eye on; all while keeping the entire room engaged as it was relatable to everyone in the room in some way. It gave parents new things to be aware of while parenting (personal awareness and child awareness) within situational settings. The biggest thing parents left with was tangible information and tools to feel prepared to help their player with real life situations. 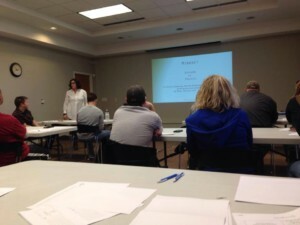 Dr. Robin has provided our families with parenting workshops that were extremely well received. Her presentations are always pertinent, compassionate and full of excellent information. Dr. Robin has also provided our staff and team of Mentors with “Ask the Expert” presentations where she addressed many topics related to children, adolescents and family systems. In my experience, Dr. Robin has always been a consummate professional and a champion for families and children. Her knowledge is extensive and she adjusts her delivery and information to respectfully and effectively reach the audience she is speaking to. It has been Project HELP’s great fortune to have her on our team and as a resource. I have know Robin for 3-1/2 years and have heard her speak in many capacities; she is outstanding! In one instance she was brought in by the Board of a non-profit to provide feedback to staff and volunteers. She made the group feel relaxed and comfortable, listening intently to their questions as well as sharing her knowledge. In my current position, I help organize workshops for parents and knew Robin would be a perfect fit to speak to our diverse parent population. Her presentation, “Enhancing Your Preschooler’s Development,” was insightful and informative. Robin answered questions from the audience, shared real-life storied to aid in understanding and was extremely genuine. Robin is engaging, competent, and goes the extra mile when presenting. Her ability to involve an audience and capture their attention is one that is a true gift. Providing psychotherapy and psychological services to individuals, couples, and families. Consultations with a specialized emphasis on performance enhancement for athletes, musicians, artists and executives. Offering skills seminars for adolescents, adults, and parents in addition to individual therapy. Copyright 2017 Elite Performance Counseling | All Rights Reserved | Created by Albrecht & Associates, Inc.